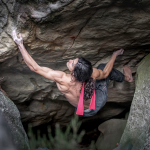 The climbing world watched him grow up. 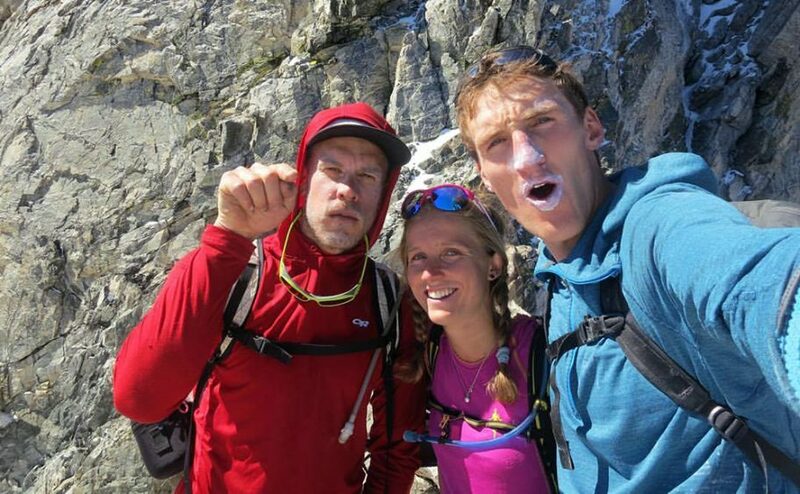 From left: Kyle Dempster, Inge Perkins, Hayden Kennedy, Tetons Grand Traverse, summer of 2016. Photo courtesy of Nik Berry. Everyone who ever knew Michael and Julie Kennedy died inside upon the news. The community knows Michael for his fairness and integrity, Julie for her ebullience, freshness and candor. We all knew Hayden, 27, for his integrity, a word I use twice on purpose, his deep well of humility, and his plain sweetness. 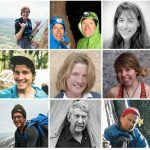 The outdoor community, who respected his father as the longtime editor of Climbing magazine and his mother as founder of the 5Point Film Festival, watched him grow up, from a baby into a widely beloved young man. Those of us who lived near or worked with the family were privileged to enjoy the continuum. I remember seeing Julie weigh Hayden’s squirmy baby body on the office postal scale; him learning to crawl (at first he could only go very fast backwards, and would end up crying in a closet); his unsteady early steps and how he’d drop to a crawl because he knew he could move faster (toward a goal) that way. He was a beautiful toddler, with curly blond hair and crystal blue-gray eyes. Was he age 7 when they went to Thailand, and he climbed 10c and got to see a pit full of snakes? As a young boy he climbed often on his father’s garage wall, and visitors slowly noticed that he had become exceptionally strong, would hang around chatting and climbing on the steepest part, and eventually you’d realize he had been up there for 15 or 20 minutes. He was always kind to Mike’s and my two admiring sons, who were years younger. “Well, the Olenick [neighbor / friend] boys were always nice to him,” Julie said upon my grateful compliments. But it also just came from within, and from being raised with the greatest of care and love. As an adult, Hayden asked about the boys every time we saw him. On Saturday, the day before he died, I was only just talking about Hayden to an old friend of his family. Saying the same things before his death that I would after: that he was thoughtful and intuitive; I actually used the word “true.” He was faithful to his judgment. 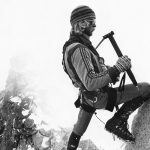 He had been brought up by Michael, a leading alpinist and Himalayan climber who listened to his interior voice; Michael turned around in perfect weather on the attempted first ascent of the Wall of Shadows, Mount Hunter, the Alaska Range, upon the strength of a feeling. 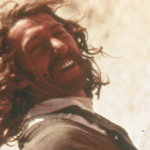 As a young man Hayden had bloomed naturally into a very leading climber, first on rock and then in the mountains, while remaining unassuming. He was so courteous that one day five years ago, when prevailed upon to do a photo shoot for this magazine after he and Jason Kruk climbed the North Face of North Twin, he apologized for how bright the sunlight was. 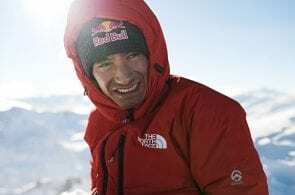 During the associated interview, Hayden, who’d climbed 5.14 trad and sport but was drawn to alpinism because of the multiplicity of skills it required and synthesized, said: “The media of the alpine world is getting strange. This new push for these dispatches from the mountain. I just feel that it’s dangerous when you are trying to make these decisions. You might be sitting in base camp thinking, ‘I don’t want to go up there.’ Maybe I’m wrong but with that camera and other pressures you might feel pressured to go up and ignore what you think. This was even before the current social-media explosion. Hayden was 21. 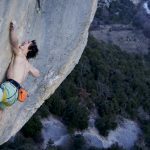 In recent years he moved yet further away from creating a media persona, though he hoped to develop his writing skills, and had only just published an honest and widely shared reflection on climbing and its dangers on the blog Evening Sends. Hayden had recently found so much, had broadened his life. 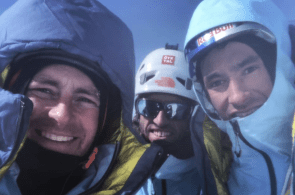 He had met Inge Perkins, his dream partner and herself a mountain athlete absolutely of his caliber, who skied peaks before breakfast and climbed 5.14. She, too, was thoughtful, modest and low key. Undercover. Probably no one could help thinking they were a perfect match. Hayden had just moved to Bozeman, had looked forward to being with her there. He was recovering from a shoulder injury and surgery that brought him home to his parents’ house this past summer. He was taking classes to become an EMT, and would have been a cool-headed and compassionate one. I’ve been colder. It was not arrogant but mild. Funny. Understated. It was so Hayden. I never ever ever wanted to be writing this essay. Though Hayden was a cutting-edge alpinist in the great ranges, I didn’t even really think the day would come, because the concept of the Kennedys losing the light of their lives was so cataclysmic that I recoiled from it. My only hope is for these parents, who could not have been more loving, to find peace; and my only hope of that is the grace they already possess and that they passed down. Please feel free to leave your thoughts, comments and memories in the comments below.